According to my coffee-themed wall calendar, fall is here! The oppressive heat of summer is hanging on in some parts of the nation but as each leaf turns color, lands in my my backyard and taunts me to rake it, the closer we come to hoodies, hayrack rides and of course, cooking with pumpkin. I’m declaring pumpkin to be the official food ambassador of fall. It’s so diverse, you can eat it for breakfast, lunch, dinner and even dessert. In fact, if you wanted to, you could devote an entire day to pumpkin-eating but I wouldn’t, because that would be excessive. In addition to being a fall recipe staple, the pumpkin is a super food. It’s low in calories, high in fiber, and packed with nutrients including potassium, pantothenic acid, magnesium, and vitamins C and E. It’s also packed with iron, zinc and beta carotene. Does that make pumpkin pie practically a vitamin? I think it does. To kick off the season of our favorite gourd, we’ve rounded up 11 easy low-cal, healthy pumpkin recipes that you’ll want to start baking this weekend. 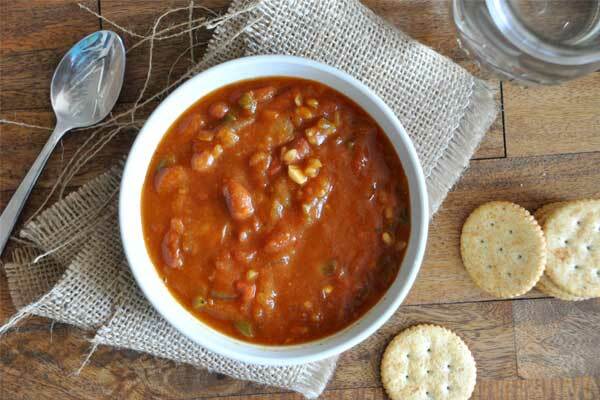 Turn on the football game and sit down with this steamy bowl of Pumpkin Chili while you cheer on your favorite team. 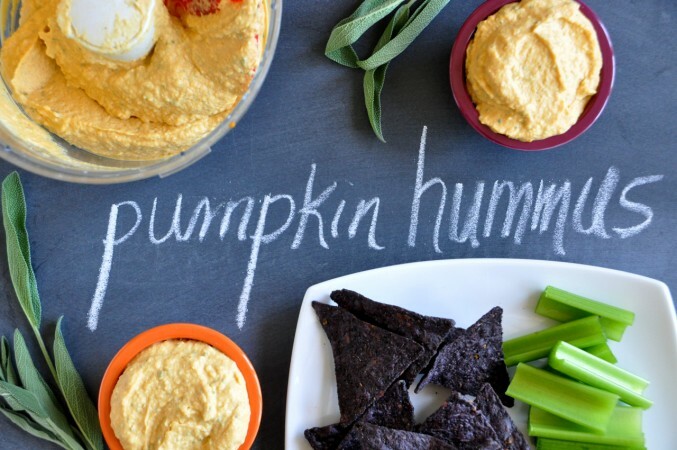 Bring Pumpkin Hummus to your next book club meeting. It goes great with wine – and mysteries. Be a thoughtful dinner host by offering vegetarian guests Creamy Vegan Pumpkin Soup with Spiced Savory Granola. For those upcoming chilly mornings, send the kiddos to school with a belly full of Healthy Baked Pumpkin Oatmeal. Keep this Gluten-free Pumpkin Pie with Pecan Praline Topping recipe tucked away for Thanksgiving so everyone at the table can enjoy pumpkiny goodness. 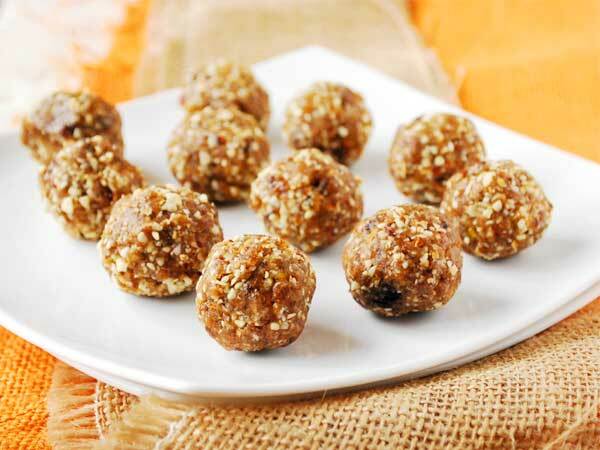 Grab a few of these Pumpkin Spice Protein Balls to nosh during your morning walk. 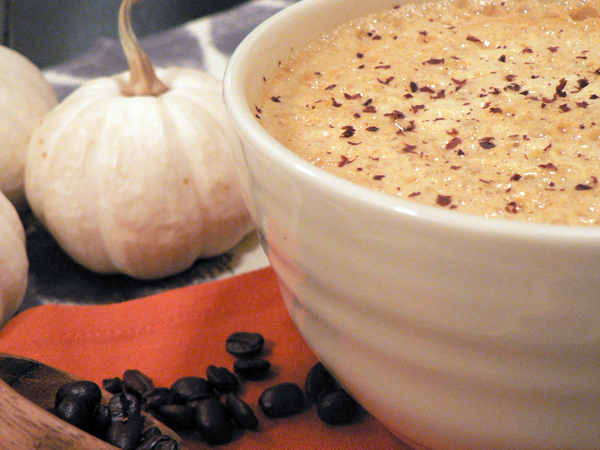 Sit down and enjoy all the new fall TV premieres with this Frosty Pumpkin Smoothie. Be the most popular guy or gal in Cubicle City when you leave these Mini Pumpkin Donuts in the conference room. Impress your mother-in-law when she calls to say she’ll be popping into town tomorrow by having a delicious slice of No-Bake Chocolate Pumpkin Pie waiting for her. 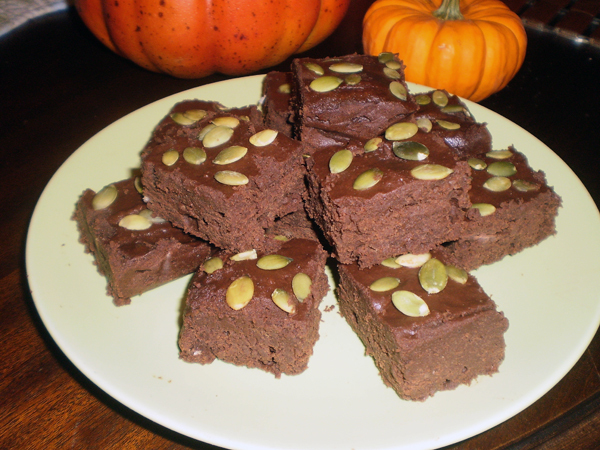 Make your husband a batch of Chocolate Pumpkin Brownies for raking all those leaves. If you also raked the leaves, you get to eat two. Curl up with a good book and a mug of this Pumpkin Spice Drip Coffee or our Vegan Pumpkin Spice Latte. 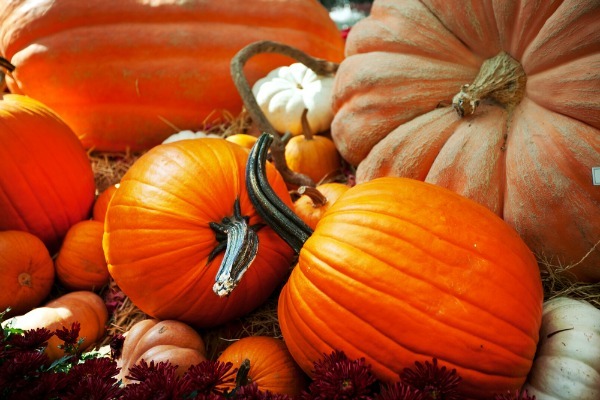 For more pumpkin festivity, don’t forget to follow our Pinterest Pumpkin Board.